The IoT’s way forward may be complicated, however. As with any market in its early stages, growth projections could prove overly optimistic if innovators and business leaders are unable to overcome various technological, regulatory, and market challenges. In the case of the IoT, weak security may be the most important issue—a point underscored by a survey that McKinsey conducted in 2015 in collaboration with the Global Semiconductor Alliance (GSA).1When we asked respondents about their greatest concerns about the IoT, security topped the list. The disputed Kashmir region is now at the center of the ambitious China-Pakistan Economic Corridor, as the route passes through the region of Gilgit-Baltistan, part of Pakistan-administered Kashmir. India’s opposition to the CPEC is based primarily on its claim to Gilgit-Baltistan. China’s position has, however, been neutral on the matter to date; it has asked India to join CPEC and solve the Kashmir issue with Pakistan through dialogue. CPEC, worth $56 billion, is a network of motorways, railways, hydropower, and other developmental projects that is going to give a new dimension to Pakistan’s economy and development in the coming years. The China-Pakistan relationship goes back decades, with Beijing having long helped Islamabad enrich its defense and nuclear capabilities. Between the three nuclear powers, Kashmir has been a long-standing conflict; around half-a-million Indian troops currently control the Indian side against the majority’s will. The debate over Kashmir in relation to the CPEC started after India raised concerns that China and Pakistan were using a territory that is an “integral part” of India. However, Gilgit-Baltistan has been part of Pakistan-controlled Kashmir with minor opposition from locals. In Indian-controlled Kashmir, the view of the pro-independence leaders and the pro-India regional government is that Kashmir could become a gateway to Central Asia. The question, however, is whether the political dispute over Kashmir will be affected by the rift over CPEC continuing between India and the so-called “iron brothers,” China and Pakistan. With over thee different type of guns ordered and indigenous initiatives taken up, India seems well on its way to plug the critical gaps in the Army’s firepower. The Indian Army on Thursday received the first two of the 145 M777 Ultra-Light Howitzers (ULH) ordered from the United States, the first batch of new artillery units that the country has bought after it imported Bofors guns from Sweden starting 1986. The delivery of these guns, first addition to the Indian artillery strength in over 30 years, brings an end to what is termed as the ‘Bofors jinx’. Manufactured by BAE Systems, the guns were bought by India in a $737 million deal inked in November 2016. Of the 145 guns sold to India under the Foreign Military Sales programme of the US government, 25 will be imported and the remaining assembled in India in partnership with the Mahindra group. The purchase of these guns was a part of the Army’s wider strategy, drawn in the Field Artillery Rationalisation Plan of 1999, aimed at acquisition of 3,000 modern artillery systems of various types, to equip its 220 artillery regiments by 2027. Over a decade and a half later, the plan has finally begun to materialise. But what delayed the acquisition of new artillery guns for over 30 years? What’s Behind the Taliban’s Major Gains in Northern Afghanistan? Over the past few weeks, the northern Afghan province of Kunduz — until recent years a region relatively unaffected by the Taliban insurgency — has been the site of heavy clashes between the Taliban and Afghan security forces. The Taliban recently seized control of Qala-e-Zal, a western district of Kunduz, and are also making advances on the province’s eastern border. These Taliban triumphs raise troubling questions about the future of Kunduz, which has seen its provincial capital (also called Kunduz) briefly fall to the Taliban twice over the last few years. Once considered relatively stable, northern Afghanistan more broadly has become increasingly volatile since the drawdown of foreign troops at the end of 2014. Just last week, the Taliban overtook Ishkashim district, in Badakhsan province near the Tajik border. And last month, Taliban forces brazenly raided an Afghan Army base in Balkh Province and slaughtered dozens of troops. As insurgents make strides across northern Afghanistan, the problem of displacement has intensified. Around 91,000 people nationwide have been displaced this year due to fighting and insecurity, adding to what is already a crisis situation. In 2016, the figure was 661,000 – according to OCHA (The United Nations Office for the Coordination of Humanitarian Affairs), 33 out of 34 provinces reported some amount of forced displacement. And yet the majority of those uprooted have been in the north. LAPRAK, GORKHA, NEPAL — Tulsi Gurung, 35, woke up at dawn on May 13 to board a bus at Kathmandu’s Naya Bus Park with his wife, Ri Maya Gurung, 32, and their daughter Rebika Gurung, 4. The bus park was crowded despite the early hour; passengers awaiting departure loitered with glasses of tea and hawkers announced bottled water and pustakari, a Nepali sweet, for sale. Tulsi and his family had come to catch a bus to their village of Laprak in Gorkha District, just kilometers from the epicenter of the April 2015 earthquake that killed nearly 9,000 people and left over 750,000 families homeless. Tulsi, a trekking guide, had recently completed a climb of Tukche Peak in the Annapurna region of the country. Ri Maya usually stays in the village, where she lives in a temporary shelter with the children and farms potatoes and buckwheat, but she had brought Rebika to the capital city several days earlier to treat an eye infection. The family was in a hurry to return home to vote in local elections — the country’s first since 1997. 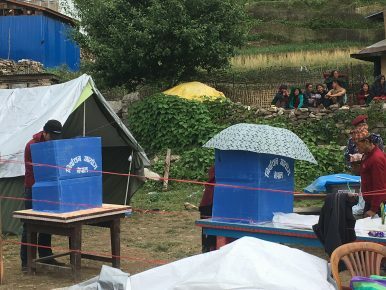 For many Nepalis, the election represents their first chance to choose local representatives responsible for governance and development, and to influence the ongoing earthquake recovery process. In a consequential development over the past week, India decided to stake out a clear position of defiance against the Belt & Road Initiative (B&RI), an ambitious Chinese idea that seeks to reshape the Eurasian geo-economic space. India’s absence in Beijing’s high-profile summit with representatives from over 100 countries, including 29 heads of state, has evoked surprise and debate. 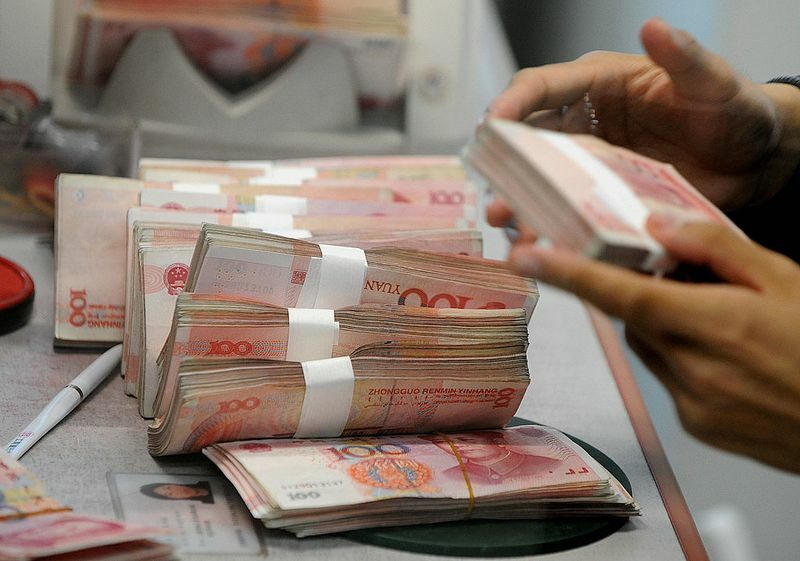 What is the calculus driving India’s China policy? Does India risk isolation as Eurasia moves towards a new chapter of connectivity and interdependence? Delhi’s position can be clearly gauged from the Ministry of External Affairs’ May 13 statement. The China-Pakistan Economic Corridor, a flagship project of the B&RI, is seen as a blatant disregard for India’s position on Jammu and Kashmir because it passes through Pakistan-occupied Kashmir. But Delhi’s protest goes beyond the “core concerns” over sovereignty. The objection to the B&RI is actually more deep-rooted, namely, that China’s rise and projection of geo-economic influence is a direct challenge and threat to India’s great power aspirations and traditional position in the subcontinent. Somewhat obscured the recent outpouring of penny dreadful news from Washington (from the dubious termination of the director of the FBI to Sean Spicer ensconcing himself in the White House shrubbery) was the announcement of a U.S.-China 100-day economic action plan. It is a pedestrian, workmanlike document, committing to a raft of bilateral trade, investment and regulatory measures. Its references to poultry, beef (which left the president enthused), and clearing houses are not obviously the stuff of grand strategy, or grand bargains. It could prove economically beneficial, on its own merits, if China can be persuaded to open its market on more reciprocal terms. Interestingly, China will start importing U.S. liquefied natural gas to meet its energy needs, within existing U.S. export quota limits for non-free trade agreement countries. Politically, it is a significant step forward, given the gathering American domestic headwinds against seemingly any kind of trade deal. A potentially damaging trade conflict with China, widely feared at the outset of the Trump administration, has been averted – for now. Also tucked away with the action plan was an instantaneous commitment to send a U.S. delegation to this week’s Belt and Road Initiative summit in Beijing. They must have had their bags packed. Saudi Arabia's Vision 2030 is helping the country address the challenging mission of freeing itself of its dependency on oil revenues. This ambition has been a repetitive theme of the kingdom's development plans since 1975. Those who doubt Saudi Arabia’s capabilities to deliver something quite so substantial by 2030 should not forget what happened more than 40 years ago. In December 1974, my family assets were a small house in the coastal city of Jeddah and a barely functioning Toyota sedan. By the mid-1980s, my father bought a brand new GMC Suburban shortly after finishing two beautiful buildings beside our house, which was given to us free of charge, as he was a member of the armed forces. It was not only my family who went through this class transition, but also a generation of Saudi families who became today’s middle class. I maintain that in 1975 the government had a vision to establish the modern state of Saudi Arabia, which required massive infrastructure projects and the empowerment of the Saudi people. Defense Secretary Jim Mattis said changes in the fight against Islamic State that were approved by President Donald Trump have given the U.S. the ability to move more quickly and forcefully on the battlefield, though the overall strategy remains largely unchanged from the Obama era. Mr. Mattis said the president had given U.S. military commanders more leeway to make battlefield decisions and approved a tactical shift that directs U.S.-backed troops to focus on annihilating Islamic State rather than waging a war of attrition. “No longer will we have slowed decision cycles because Washington, D.C., has to authorize tactical movements on the ground,” Mr. Mattis said at a Pentagon news conference, where he appeared alongside Chairman of the Joint Chiefs of Staff Gen. Joe Dunford and the State Department’s special envoy to the anti-Islamic State coalition, Brett McGurk. Mr. Mattis said U.S.-backed troops previously were surrounding Islamic State positions and allowing enemy fighters to escape through a designated exit route, because the goal was to oust them from occupied cities as quickly as possible and allow residents to return. But the effect, the defense secretary said, was essentially to move Islamic State fighters around the area…Read on. Last week, the Federal Communications Commission’s (FCC) web site reportedly crashed after late night television host John Oliver told viewers to flood the comments system in support of net neutrality, which calls for all internet traffic to be allowed equal access by internet service providers. Meanwhile on Capitol Hill, Senator Mike Lee, R-Utah introduced legislation to nullify Obama-era regulations established through the FCC 2015 Open Internet Order, which reclassified broadband service providers as telephone companies under Title II of the outdated 1934 Communications Act. Both actions exemplify the strong tides of dissent over who controls the internet and reveal the differences in perspectives and the approach around internet regulations. With the looming FCC repeal of the 2015 Order, Chairman Ajit Pai’s ultimate goal is to return the Commission to a light-touch regulatory approach to broadband in order to stimulate the necessary conditions to reach new digital milestones, including the anticipated rollout of 5G wireless infrastructure. Despite the chairman’s intentions, the issue will remain gridlocked. Net neutrality advocates and opponents alike have demonstrated their steady investment in a specific outcome that juxtaposes regulation over no regulation. These deep seated divisions are played out among members of Congress, industry leaders, activists, and even academics. Retired Army Maj. Gen. Robert Scales hates the M16 family of rifles, and he won’t stop until everyone knows it. Scales has spent the last few years railing against the standard-issue infantry rifle as little more than a lighter but less effective version of the infamous M16 model that left so many American troops dead in the jungles of Vietnam (In response to Scales’ condemnation of the M4 in the pages of The Atlantic in January 2015, Task & Purpose’s Christian Beekman mounted a vocal defense of the rifle). Wednesday was no different. Appearing before the Senate Armed Services Committee, Scales decried the Department of Defense’s post-World War II small-arms programs as “inferior.” Thousands of American troops “have died because the Army’s weapon buying bureaucracy has consistently denied that a soldier’s individual weapon is important enough to gain their serious attention,” said Scales in his prepared testimony. Basketball, it seems, has much in common with doctrine. We teach it. We talk about it. We profess its virtues. We just don’t read the rules. We’re often so proud of the fact we don’t read our own doctrine that we joke about it (“it’s only a lot of reading if you do it”), while at the same time mocking peers who admit to not reading doctrine as TOADs (“totally oblivious of all doctrine”). The problem with all of that? The costs associated with doctrinal ignorance are measured in blood and treasure. The time to admit that you don’t know the difference between ADCON and OPCON is not when your soldiers are going hungry in a remote outpost. Combat is decidedly mortal to the participants. Leaders, officers, and enlisted, are charged with execution of orders and the strict adherence to commander’s intent as the responsible agents for the men they serve—both above and below them. Failure to do so in peacetime can be professionally suicidal. Failure to do so in combat may be either suicidal or the key to success. The difference is called judgment. And good judgment is the Holy Grail of any combat unit. On rare occasions in our history, the leader on the ground, at the crux of a fleeting moment on the battlefield, has decided to disobey his instructions for what he judges as the greater good of the unit and the larger task at hand. A point often forgotten is that enemy gets to vote. Conditions may be assumed by the chain of command when orders are developed, but they cannot rigidly be assumed at the sound of the first hostile round. We pay our leaders, at all levels, to exercise judgment rather than rote mindless adherence when the enemy votes. Judicious leadership, combined with the changed nature of the environment and the immediate necessary actions, lead to success. Failure to recognize significant changed conditions leads to defeat. D Day is replete with positive examples of this and should serve as a guide for future combat leadership. Latest evidence suggests "phishing" emails are unlikely to have caused the global cyber attack that wreaked havoc at dozens of NHS trusts and hit hundreds of thousands of computers in 150 countries. India was one of the nations most affected by the global WannaCry ransomware epidemic. Key challenges revealed in the aftermath of the attacks include poor patching hygiene, widespread use of unlicensed software and a reactive security posture. Security experts and analysts tell Information Security Media Group that although many private-sector industries responded to the attack well, public-sector organizations haven't fared as well because of insufficient security practices. The frenzied response to the threat indicates that many organizations are neglecting basic security practices, such as patching, and failing to take advisories seriously despite growing awareness. "The security culture is to blame," says Sahir Hidayatullah, co-founder and CEO at Mumbai-based Smokescreen Technologies. "People are not being proactive, and the focus is on preventing what has already happened." 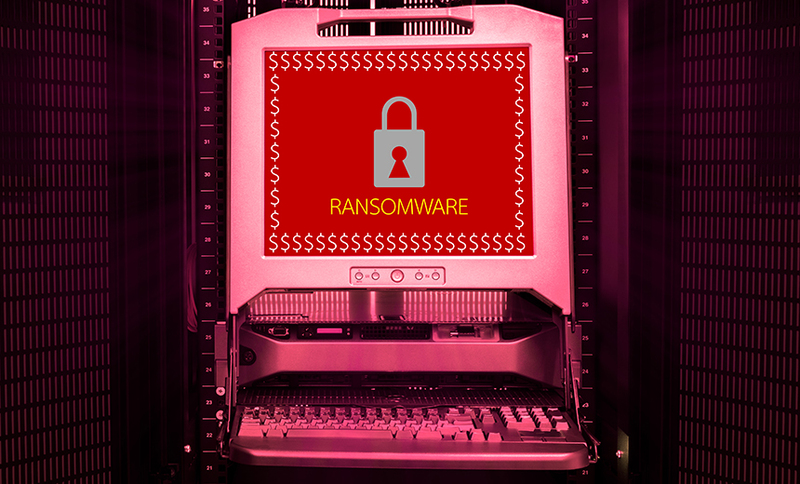 While there is no official list of companies affected by WannaCry ransomware in India, media reports refer to multiple infections in the banking and the financial sector, a national stock exchange, research labs, fast-moving consumer goods companies, manufacturing companies, systems of the Maharashtra and Andhra Pradesh police, major IT companies and other infections in the states of Gujarat and Maharashtra. Microsoft's chief legal officer directed criticism at U.S. spy agencies Sunday, warning that civilians are at risk if governments stockpile libraries of software vulnerabilities that may eventually fall into the hands of cybercriminals. 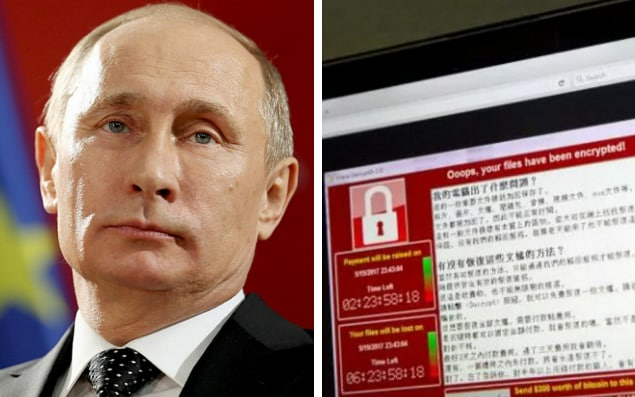 The warning comes just days after an unprecedented global wave of file-encrypting malware, which spread quickly because of a software worm believed to have been developed by the National Security Agency. 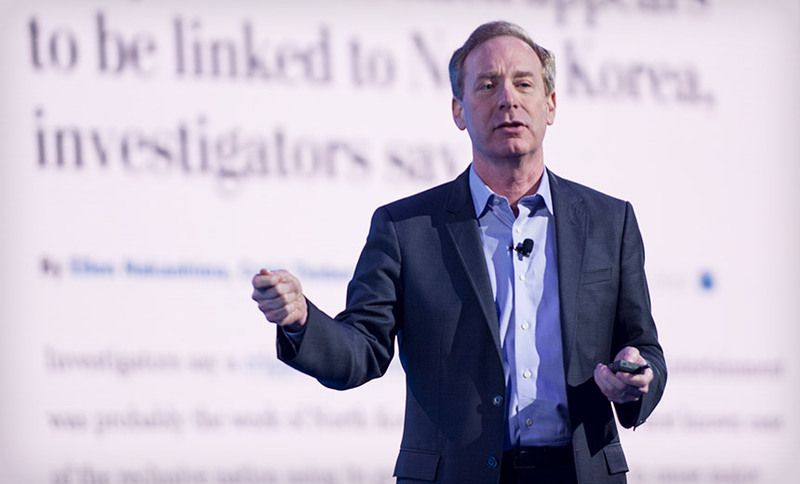 "We have seen vulnerabilities stored by the CIA show up on WikiLeaks, and now this vulnerability stolen from the NSA has affected customers around the world," writes Brad Smith, Microsoft's chief legal officer, in a blog post. "Repeatedly, exploits in the hands of governments have leaked into the public domain and caused widespread damage." More than 200,000 endpoints reportedly have infected worldwide by the WannaCry - aka WannaCrypt - ransomware, which has been demanding $300 to unlock files. The attacks have crippled hospitals, telecommunications companies and medical organizations, among other organizations, in more than 150 countries. The worm capability being used to spread WannaCry also means that once the malware had entered a network, it could quickly spread throughout an organization, warns U.K.-based security researcher Kevin Beaumont. Former Defense Secretary Ash Carter shocked the military last summer when he called for boosting the military’s high-tech force by finding civilians who already have those vital skills like cyber security and offer them “lateral entry” into the military — a chance to skip boot camp and put on a uniform as a mid-career rank from Day One. For a few hours Friday, it seemed as if the world was facing a disruption of disaster-movie proportions. Then, just as quickly as it started, the attack was stalled by a 22-year-old British cybersecurity researcher who discovered a “kill switch” that stopped the ransomware from spreading. It is time for the U.S. defense community to consider creating a dedicated cyber force in the U.S. military, unique from the other branches, retired Adm. James Stavridis told the Senate Thursday. The former NATO commander and chief of U.S. European Command argued that the threat posed by inadequate cyber security will eventually require the military to create a unique cyber force. Stavridis praised the efforts of U.S. Cyber Command, which went fully operational in 2010, but noted that a combatant command may not be enough to confront such a massive challenge. “United States Cyber Command declared Full Operational Capability (FOC) in 2010 and seven years later, despite the valiant and well-intentioned efforts of Admiral Mike Rogers and his predecessor, General Keith Alexander, the Cyber Mission Force has demonstrated to be a less than formidable and sustainable model,” Stavridis said in his written statement. 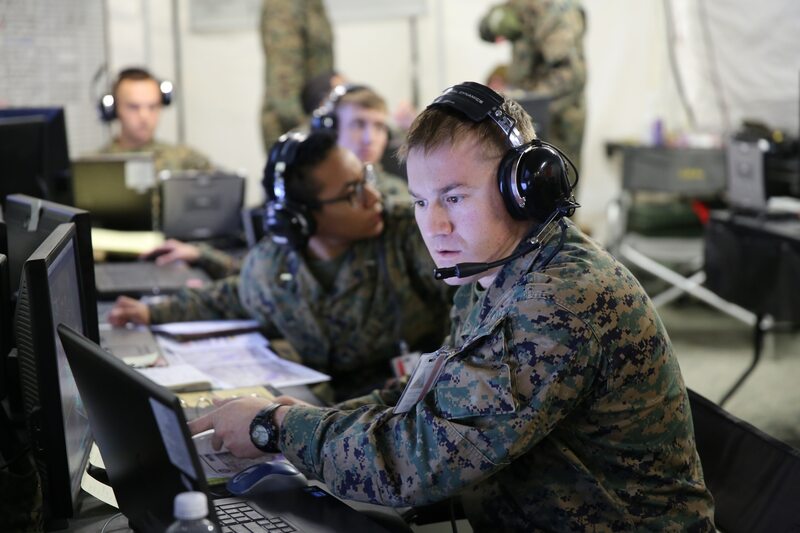 The Cyber Mission Force is tasked with defending the military’s information networks, supporting the missions in other combatant commands and defending U.S. infrastructure. U.S. Cybercom eventually wants the force to be made up of 133 teams capable of applying “military capability at scale in cyberspace,” Air Force Lt. Gen. James “Kevin” McLaughlin told the House Armed Services Committee in June. Admiral Michael S. Rogers, head of U.S. Cyber Command, called Russia’s cyber operations “destabilizing.” During recent exchanges on Capitol Hill, Rogers appeared to be in agreement with the U.S. intelligence community that Russia's election interference is likely to be a new normal. Russian President Vladimir Putin “figured that he was no military match for the United States, but he could launch a Manhattan Project for cyber attacks,” Rep. Jamie Raskin, D-Md., declared last month at a hearing of the House Oversight and Government Reform information technology subcommittee. It is still an open question how the United States will fight back, whether it’s Russia or other foreign hacking onslaught. U.S. officials and experts warn that it is time for fresh thinking on how to combat these threats, both in government agencies and in the cybersecurity industry. A cybersecurity executive order President Trump signed May 11 says the government for “too long accepted antiquated and difficult–to-defend” information technology systems. And as the government turns to the private sector for ideas and solutions, the industry has a big challenge at hand, says Roger Hockenberry, founder and CEO of the consulting firm Cognitio.